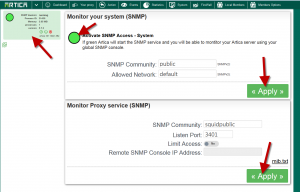 This article allows you to monitor both system ( hardware, disks, memory ) and the Proxy service. There are some improvements on Artica v2.19.082118 or above. We suggest to upgrade your Artica to this version. 1) Upgrade the SNMP software. 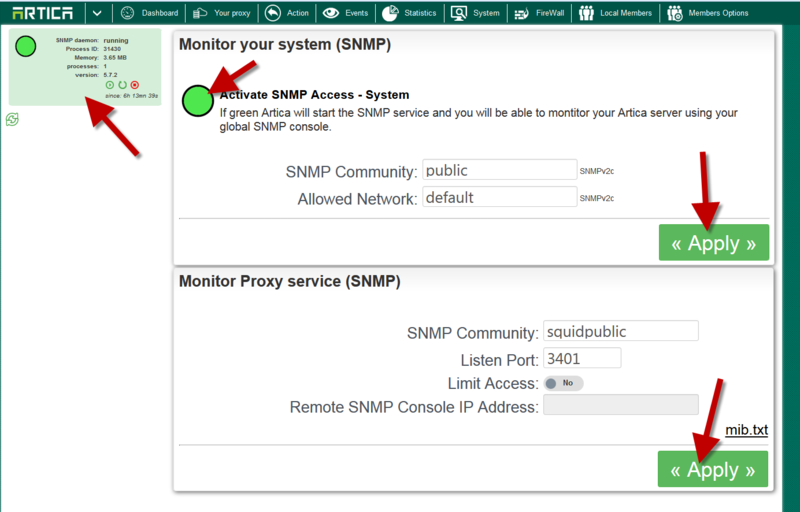 Click on Upload a file button and choose the downloaded SNMP Package. Click on Apply on the proxy section.